Anna Kennedy OBE Founder of the National Autism Charity AnnaKennedyonline first met André in the Wirral where he performed in the AGT Roadshow at The Pavillion Theatre to over 400 seated audience. 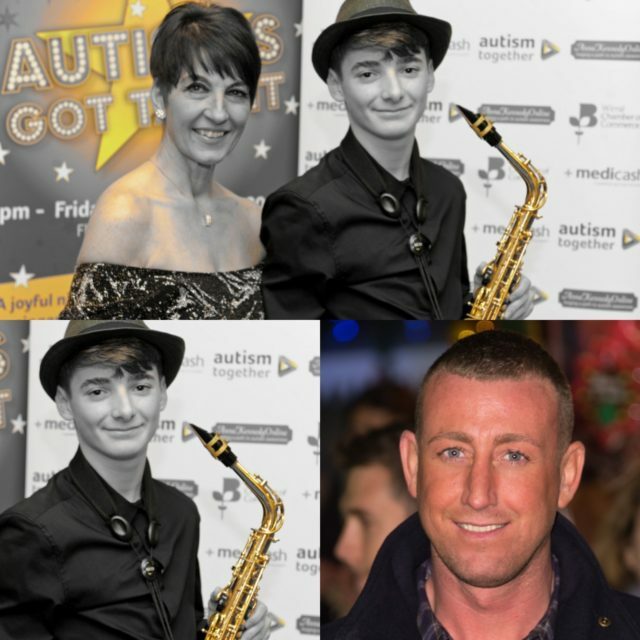 Anna was so impressed with his saxophone playing that she approached Chris Maloney (X Factor finalist who is the Founder of an Academy in Liverpool) if he could offer a scholarship. Anna shared some of the footage from the show with Chris who immediatley agreed to offer this talented 13 year old a 6 month scholarship. ‘The Academy will give André a wonderful opportunity to develop his social and communication skills with like minded children.